GSCID staff acknowledged for outstanding work. The GSCID held an Achievement Award ceremony in its boardroom on Wednesday, 6 February at which staff who have gone above and beyond the call of duty were handed certificates for their exemplary conduct. 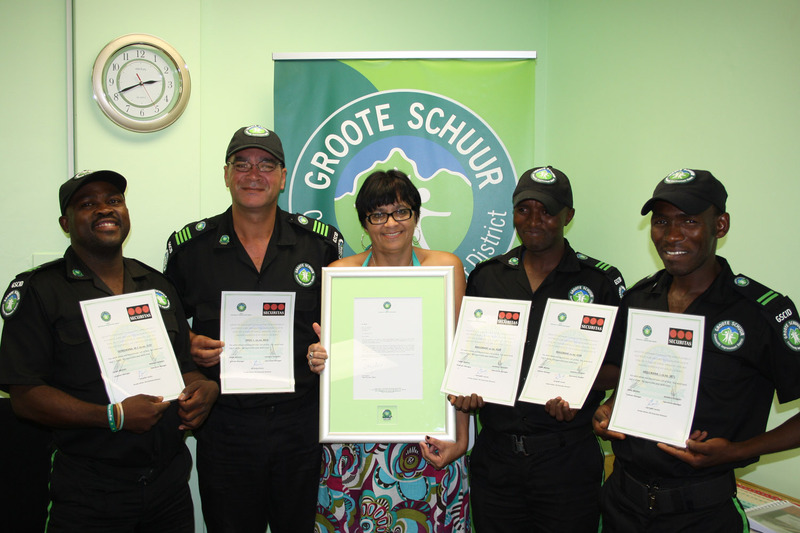 All candidates also received a GSCID Badge of Excellence. GSCID CEO, Anthony Davies, made the presentations, acknowledging the outstanding conduct, hard work and dedication of the staff in performing their duties. Response officer L Kros received a certificate for an armed robbery arrest. Response officer L Magobane received two certificates: for an arrest for armed robbery as well as for recovery of a stolen briefcase. Response officer L Mqulwana received a certificate for an arrest for armed robbery.